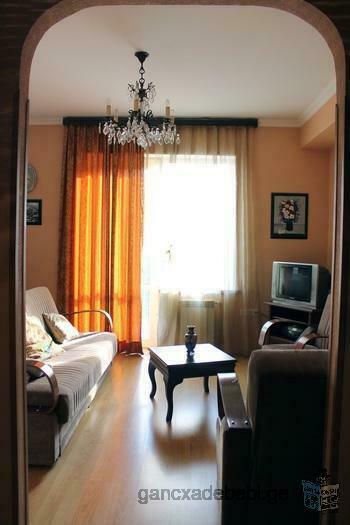 apartment is located in the center of the city (15minutes by car to the old tbilisi). there is everything in near 5 km - cinema, McDonald, KFC, subway and other fast food facilities, theaters, opera, tennis courts, every type of shops and so on. as you can see from pictures. there is 2 person bed and one sofa that can fit additional 2 man for sleeping. we leave in the near house and can help if it's needed. we wont interact with with you unless you ask us.